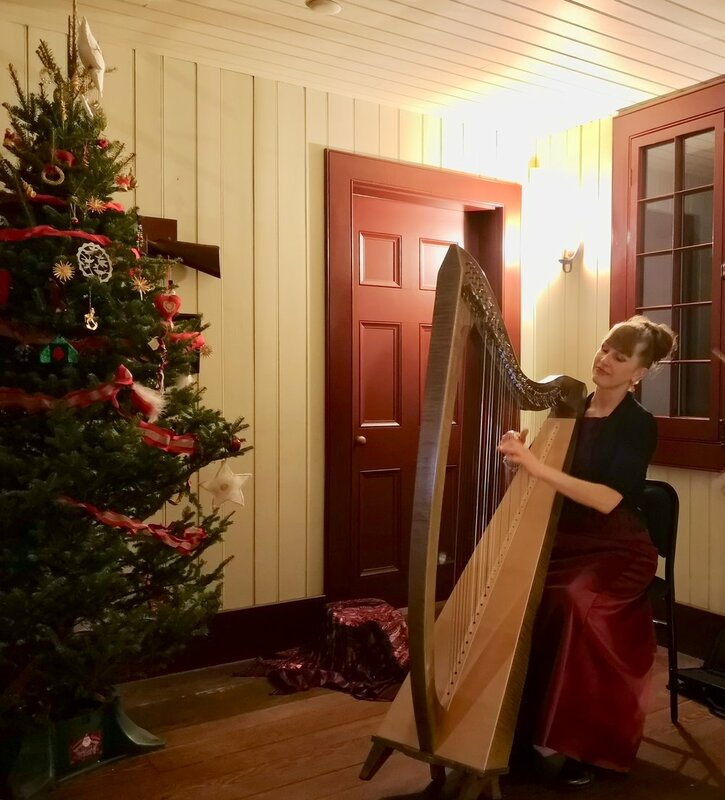 Candlelight Christmas Performance at the National Historic Site of Fort Langley - Saturday, December 15th, 2018. Historic Stewart Farmhouse Pioneer Christmas, Surrey, B.C. Leanne, a harpist and classically trained singer based in Surrey, British Columbia, is a passionate musician who feels that music is a reflection of the soul. She loves to connect with people through her music and is dedicated to the pursuit of excellence. A notable harpist within the lower mainland, she is equally sought after for her instrumental flare as for the expressive beauty of her voice. From Classical to Celtic, from Sacred to Popular, from Opera arias to music from the Movies, Leanne creates music which is full of emotional depth and colour and she has knowledge and skill in a variety of genres (see About Leanne). 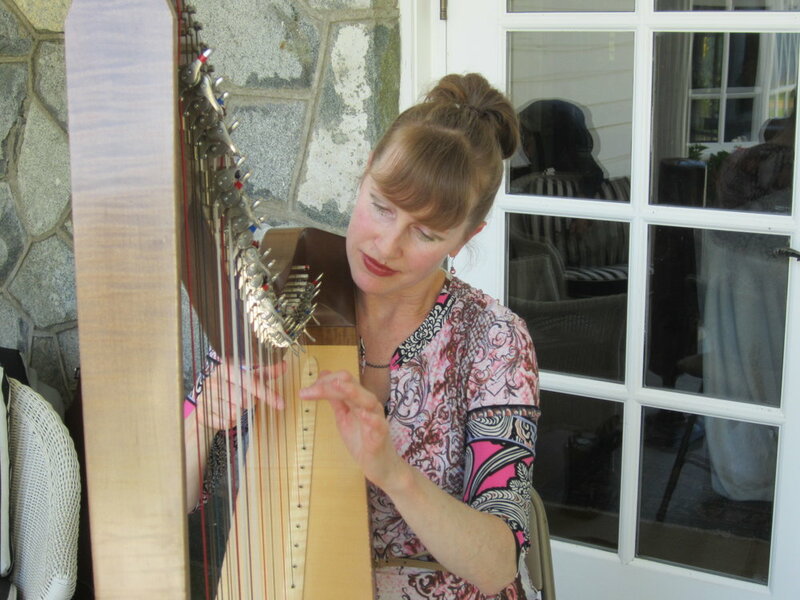 Whether as a solo instrumentalist, a singer/harpist or with the addition of classical guitar, Irish whistle and piano played by her son Connor, a UBC Music Major (see Celtic Harp Duo), Leanne creates a rich and vibrant musical pallet to enhance a variety of celebrations and occasions (see Harpist for Hire). Praised for her melodious playing and beautiful voice, Leanne regularly performs throughout the lower mainland, playing and singing in many spectacular and diverse settings from Cathedrals to Country Clubs, from Retirement Residences to Concert Halls and feels blessed to create beautiful music for life’s special occasions. She lives in the lovely agricultural district of Port Kells, Surrey B.C. with her family. Wedding at Pacific Country Stables, Langley, B.C. Wedding at Morgan Creek Golf Course, South Surrey, B.C.